Portland Store Dispatch - Kona Bikes! And that was quickly posted to our FaceBook Page (you should like us on there as we often show off new items there). And now you know...as of last week Universal Cycles is now a Kona Dealer! We quickly dispatched our mechanics to building up the bikes and now have the majority of them on the floor. The Ute - their cargo bike - and Dr. Good are two great commuter ready bikes. And the Jake The Snake is a proven cross bike - how can you argue with the likes or Ryan Trebon and Barry Wicks using them for many years - and from that you get the Jake 24 a great cross bike for the kids wanting to race or just experience cross. Speaking of the kids....we also have the Kona Shred 24 and 20 and KHS Raptor for getting them started out on the trails - so next time you come in make sure to bring the kids. Along with the new Kona's we saw the 2014 Salsa bikes come in...so our builders have been busy getting them built up and ready for you to take for a test ride and then home! Needless to say it is going to be a great summer here at Universal Cycles! I've got to say that adventures on bikes are entirely too much fun, no matter what conditions you experience. On Sunday, we did a gravel grinder that we had talked about for several weeks. The weather was looking like the big, gusty storm was going to catch us on the way back and make life a good bit challenging. In addition to that, at about two miles in, we were starting to hit long patches of snow. Well, the ride turned out to be 45 miles, with maybe a mile of it on paved road! We ended up climbing 3500 feet of vertical elevation, and descending that, as well. Schmitty, our resident downhill racer, is working hard to get in shape for the coming race season. He had expressed that he wanted an adventure. Even in the hail storm, he made me look like I should have training wheels on the descent. The best part... on the way back, with about 8 miles left to go, Schmitty's legs were starting to cramp. Sure enough, that didn't stop him from bunny hopping any and every big puddle that happened to be in the way. The smile on our mechanic Ruthie's face was huge. She was so excited to be out away from paved roads and into the woods. 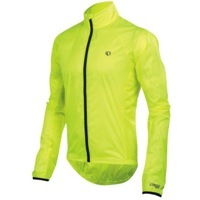 In the pouring rain and hail, someone asked her how her new Endura MT500 jacket was. She smiled and exclaimed that it felt like the perfect little tent made especially for her! Today was a reminder that riding is always an adventure. And, it is about camaraderie. It's about getting through the adventure and having fun doing it, together! You never know what is going to happen once you start pedaling. That is what makes it so much fun. From all of us here at Universal Cycles, get out there and have your own adventure. And, share it with some friends! Global Fat Bike Day Ride Report! Well, sure enough, it's dark and c c c c c cold!! It was negative 2 degrees Fahrenheit last weekend as we rode on the 2nd annual Global Fat Bike Day. The incredible thing was that we stayed out all day without getting too cold. Those of us with beards has a frozen facade while enjoying every twisty-turny corner. I have waited years to ride the epic trails of Bend, Oregon, such as Phil's, only to find that I never really rode the trail. It was completely snow covered! Oh, did I mention that it was absolutely incredible? In addition to the actual ride, it has been wonderful to read blogs about other rider's experiences on Global Fat Bike Day. This time of year is always fun as we work with customers, friends and employees on their latest bike projects. We are in the middle of the holiday season. All of us here at Universal Cycles would like to wish everyone a happy holiday season. May all your dreams be filled with incredible bikes, parts, accessories, and the sheer joy of riding a bike!! A bunch of us went out on a ride today. As it's the end of November, we knew it would be chilly and wet here in the Northwest. So, we dressed appropriately and hoped that the weather forecasters were correct in saying the rain wouldn't hit until tomorrow. The basis for this ride was, simply, to get ready for next weekend. Next Saturday, December 7th, is "Global Fat Bike Day". Ok, it's only the 2nd one. Global Fat Bike Day gives us the opportunity to lay praise to what we enjoy most. In this case: Fat Bikes! We will go to the snow and enjoy riding with friends. And, we will enjoy the festival like atmosphere created, laughing, falling, etc. So, to "get ready", which really isn't all that difficult, today's ride was a fat bike ride. As usual, there were some new technical tidbits to experience throughout the group. There was a brand new Salsa Beargrease Carbon XX1 on the ride! And, I had converted my fat bike to tubeless. The roots, covered in leaves, were as slippery as usual, causing havoc around a few corners. And, a really good game of "don't dab" was created along the way. That is where the rider in front may slow down to a crawl (maybe even track stand) and try to get the riders in back to put their foot down. Here at Universal Cycles, we hope you had a great Thanksgiving. We continue to be thankful that bike are so much fun. 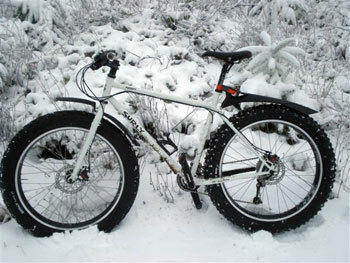 To all you fat bike riders, an early "Happy Global Fat Bike Day!". Well, here we are! This is always one of the most exciting times of the year for us. This coming week, we are off to Las Vegas to see all there is to see at Interbike. For Universal Cycles, this will be our 18th year in attendance. It always amazes me to be in a huge convention center in the middle of everything bike related. The things we see are, sometimes, not so exciting. But, there are always products that come through that we know will be "game changers". I'll never forget when we saw the Hayes hydraulic disc brakes so many years ago. Or, when I first put my hands on the Ergon grips. The Hayes disc brakes were a larger product that we knew would take over. Sometimes, in the case of the Ergon grips, the smallest, or simplest, of products can completely change everything. It leaves everyone saying "Now why didn't I think of that?". Needless to say, there is always a ton of energy in the convention center, and excitement is around every corner. Not only are the products amazing, but some of the people in the building can leave you speechless as well. John Tomac is there, promoting his tires, bikes, etc. Eddy Merckx is there, in his booth, and you can just feel the knowledge and energy around him. Personally, I can't wait to see Greg Lemond with his introduction of his new frames. For us, it is quite a bit of work. We are on our feet all day and absorbing as much information as our brains allow. It is a visual sensation and a mental explosion. We absolutely love it! So, to that end, we will keep in touch this week about what we experience. So many of the inventions from the late 1800's went away a long time ago. But, not the bicycle. The bicycle has maintained its status over the years. Originally, it was cheaper than owning a horse or a car. Well, from that point of view, I suppose it still is! Some bicycles have stayed virtually the same, while others are completely different. Whatever your passion is with the bicycle, we will take it with us to Interbike and do our best to offer everything we can to help your quest! It is hard to believe that we just turned the calendar to September. This is always a fun time in the world of bikes. The mountain and road race calendars are just winding down (the Mountain Bike World Series is happening this weekend and the final Grand Tour is in its second week now) and the first cross race of the year here in the Portland area just happened on Saturday. We also just had an amazing Portland Sunday Parkways that took place in our backyard. We were lucky enough to team up with the BTA (Bicycle Transportation Alliance) who had a Beer Garden in our parking lot to say thanks to their members both old and new. Our operations manager, Meiko, was out and about on her Pedigo educating possible new riders on just how amazing these bikes are. In fact, we may have a convert in our GM who is thinking about getting one now! Every customer that she went on a test ride came back with a smile and a few have already come in to place an order for their very own. Our mechanics went non-stop from 11:00 until 4:00 completing minor repairs and replacing a lot of tubes! All in all this was just another amazing Portland event and one that Universal Cycles is proud to be a Champion Sponsor of this event for another year! There is one more Sunday Parkways event coming up in September. Stay tuned for details in our next newsletter! Here are some photos from yesterdays East Portland Sunday Parkways, and a few time lapses from our repair booth. Full writeup coming soon! This past weekend, a few of us here at Universal Cycles went out to The Dalles, OR to do a ride called the "Dalles Mountain 60". Just as it sounds, the ride is roughly 60 miles in length and climbs up and around Dalles Mountain. What intrigued me about this ride is that over 30% of it is dirt roads. I've been riding mountain bikes for over 25 years, so riding on dirt isn't a new experience. But, mixing a road ride with dirt? I haven't done that unless I have to ride on the road to get to the off road. First of all, I would like to give credit where credit is due. This ride is put together by the great people at VeloDirt. I'll explain the ride experience and then touch base on this group again. Given that this was my first "Gravel Grind", I was very curious to see the turnout of people and bikes. I decided to ride my Salsa Fargo, as I can spend all day (everyday!) on it. I simply love the bike. When the riders started to assemble, I was fairly surprised at how many regular road bikes there were. Carbon . . . high end Mavic wheels . . . skinny tires, etc. Knowing that my big 29 x 2.2 Conti X-King tires would be a disadvantage on the road, I left about 15 minutes before the main group. It was a nice easy road ride to the beginning of the first climb: 2500 feet of climbing, all on a dirt road!! It was a blast! All those carbon road bikers flew right by me in a small pack. They were all smiling! My smiles were sure to come as I slowly passed a few from their 25c tire nemesis: flats!! It was readily apparent that the skinny tire folk were taking their chances running road tires. Up the road, I played leap frog with a few riders. They would get a flat and stop to fix it. I would ride by them. They would catch up and blow by me again. Etc. Etc. The greatest thing about it was that no matter what, we were all just happy to be on bikes. As the ride went on, I began to feel as though this was a mix between a festival (for those who wanted it) and a hard, fast ride (for those who wanted it). We rode past an old homestead and it felt like we were on an adventure already. By the time we reached the top of the climb, we had an outstanding view of 4 Pacific Northwest volcanos! After that, we had a screaming good gravel road descent. I was amazed at the incredible handling skills of everyone on their bikes. For me, it was easy: bomb down the hill with my 2.2" tires. For others, choosing the right line would make all the difference. At the bottom of the descent, I met up with the guys I was riding with and noticed the wind. I didn't think to much of it at that point. Whoops! The miles passed quickly after that. We were over 20 miles in and it was simply beautiful. At mile 30, we came to a small town called Biggs. Half way through. As this was a loop, we had ridden mostly north and east. Now, it was time to head west. Being the type of person that I don't necessarily think too far into the future, I hadn't put together that we were riding along the Columbia River Gorge: Uh, it's a world capital for windsurfing. Yes, we hit it. The wall of wind. It was clear that the next 30 miles were going to be fairly brutal. A test of will, so to speak. After a flat road section, we were about to get back on dirt. I'll never forget Moody Rd. Moody road was all gravel with a huge headwind. O.K., I can deal with that. Unfortunately, I also dealt with the 13% section of dirt road climbing with that headwind. Simply put, it was a huge challenge. It felt great. We rode past a bull and getting gored might have been less painful! Cycling can be inherently painful, and this was a star example of it. After all that pain, we ended up riding an absolutely beautiful valley road next to a creek. It was like taking a step back 100 years, as it seems like some of the farms probably haven't changed much since then. We slowly rode back to the starting point from there. Along the way, we road with some very friendly people. I pedaled with John for a while. He was riding a vintage 80's Schwinn. This was his third Dalles Mountain 60 ride. Thanks for the great miles, John! Needless to say, we were tired by the end. My Garmin registered about 4400 feet of climbing and just under 60 miles. It was time for a well deserved beer. Over this past week, I have been thinking about this first "gravel grinding" experience. What did I like about it? Why was it so different from anything I have done before? To sum it up the best, I supposed I would say that this ride put some adventure back into riding for me. It wasn't just a simple road ride. It offered the ability to feel like I was getting away from it all, getting away from the cars, the city, etc. But, because of the format, we were on bikes that could cover some good distance. I felt as though I could pedal anywhere. If I got off course . . . . who cares! I could simply pedal to the next road, town, etc. I felt a connection to so many riders before me who didn't have paved roads. Those were the very riders who helped develop bicycles, bike riding, touring, racing, etc. To simply think "this ride would be exactly the same 100 years ago" was a very unique experience. At the end of it all, I have a few things to point out. First of all, gravel grinding is really, really fun. It can be whatever you want it to be. On this ride, there were racers, tourers, recreational riders, any anything in-between. The bike range was incredible. One rider did it on a full suspension Yeti with slick tires. I was on my Fargo which is a touring mountain, do it all, bike. I saw vintage bikes, like John's Schwinn, work horse bikes, like Surly Long Haul Truckers, cross bikes, and some really gorgeous titanium bikes. The second thing I learned is tire choice: I can say that an optimal tire choice would be something right in-between road and mountain. 28-32c with some small tread would be perfect. It would alleviate the flat danger and still keep the rolling resistance to a minimum. But, that being said, for this ride, almost any tire did the job. Finally, getting back to where I started this article at, the third thing I learned about was VeloDirt. I want to take a minute to say a huge Thank You to the people who organized this ride. The route was perfect. The description of the ride was absolutely spot-on. Not only was there a detailed map available, but GPS coordinates went right into my Garmin. This was only my first gravel grinder. But, with VeloDirt around, it is surly not my last. I highly encourage everyone to take a look at their website at http://www.velodirt.com. It is filled with rides, blogs, and some of the continuing cutting edge evolution of how we all ride bikes. As I look for, and plan, new rides for myself, I can surely see that they won't just be road or just be mountain. When you combine the two, the adventure only starts. WIthout hesitation, I would suggest trying gravel grinding. It is sure to leave you with smiles. Over the last several years, one of the funnest things to experience has been the amount of change in our industry. This seems to all derive from the engineers in our industry who constantly seem to have the idea that challenging the conventional wisdom for what is the "best" is a great idea. The amount of creativity that comes out through all the bike parts we ride absolutely astounds me. I don't think there has ever been a time that we have had so many incredible parts to choose from in every category of riding. One of the largest changes has been wheel size on the mountain bike end. It has left some people confused and others simply saying enough is enough. Like a cat drawn to a fresh bowl of food, I find myself on the side of "I HAVE to try that!" when it comes to new stuff. I try to tell myself not to, but, inevitably, curiosity gets the better of me, and I end up having to do a bunch of bike work to add something new. So, let's go through a few bits about wheel size. I am going to go through the sizes as they, generally, showed up on bikes. Mountain bikes, originally, settled on 26 inch rims in the early eighties. This comes from the availability of rims that were strong enough for mountain biking. Beach cruisers seemed to have the strongest, and widest, rims at the time. It made sense to use them, as they were available and had a good track record of being dependable. Additionally, there were some tires available that fit those rims. So, realistically, at the "birth" of the mountain bike, for lack of a better way to say that, 26 inch rims were the go to size. The size works well because the spokes are shorter than other options, leading to a stronger wheel. It is a good balance between strength of the wheel, rolling resistance and efficiency. There are many people that helped bring this size into the forefront of mountain biking. The biggest one that comes to mind is Gary Fisher. Gary has always challenged the conventional norms ever since I can remember. Gary Fisher, along with others, pushed forward and brought us a new wheel size. For all practical purposes, 29 Inch and 700c are the same size. The width of the rim may be different, but other than that, they are one and the same. This is logical, as the developers of 29 Inch needed a common rim size that was available to start playing more with mountain bike wheel size. Let it also be said that this wasn't a huge stretch, as cyclocross bikes also use 700c wheels. On the other hand, it was a huge stretch to challenge the conventional norm of mountain bikes. Not only was there the rim size to work with, but that meant that someone had to make a suspension fork and someone had to come forward to make tires, as well. If this size didn't work, the companies that would come forward would lose a bunch of money simply in the molds they needed to have to produce these products. But, those companies came through. WTB came through with tires. Marzocchi came through with forks. Other companies were hesitant and didn't adopt the new size (whoops!). When the dust settled, 29 Inch mountain bikes claimed a strong foothold. Why? It's only 3 inches. Does it really matter that much? Well, as a taller rider, I can absolutely say yes. The larger wheel size has a few benefits. First of all, the larger wheels roll over stuff easier. If you roll over the same size rock, for instance, on a 26 and a 29 inch bike, the 29 inch bike will simply roll over it easier and faster. The rider will not feel it quite as much. Additionally, once at a good cruising speed, a 29 inch wheel will maintain it's rolling speed more efficiently than a 26 inch wheel. Simply put, it will take less energy to keep that wheel moving. But, for me, the biggest feature that 29 inch wheels provide is stability. My legs are long and I am tall. That means my center of gravity is right around the Empire State Building's roof. And, I don't like it. With a high center of gravity, I tend to fall over easily. Having 29 inch wheels underneath me gives me way more stability. I can slow down to a crawl on a very technical section and have the stability to make it through, rather than falling over. I often describe it as instead of feeling like a "Bear on a Bicycle", I feel like I am riding "in" the bike. With all the benefits, as with everything in life, there are some drawbacks, though. 29 Inch wheels are not as strong as other wheel sizes. The spokes are longer, providing less lateral stability (think more wheel flex), and an overall weaker wheel. 29 Inch wheels need to use stronger spokes and lacing patterns than their smaller counterparts. It also takes more energy to get the larger wheel moving. So, from a stand still, or simply accelerating, takes more energy. And, perhaps, the most talked about disadvantage of a 29 inch wheel is the loss of maneuverability. A larger wheel takes more effort to control through tight twisty, fun, singletrack. Finally, to throw a monkey wrench in the whole thing, using 29 inch wheels requires completely different geometry and suspension design than 26" wheel. I would argue now that 29 inch full suspension bikes handle just as well as 26 inch bikes in terms of frame geometry and suspension design. This is the "new kid on the block" so to speak. Much credit goes to Kirk Pacenti who supported this wheel size before it really has become more mainstream. Again, like Gary Fisher, Kirk Pacenti is one of those people who challenges the norm. This wheel size is so new, that we can't quite decide whether we want to call it 27.5" or 650b. But, as it sounds, it is right in the middle between 26 and 29 inch. Here we go again . . Why? Now, we are talking an inch and one half from 26 inch or 29 inch. It leads us to question even more whether it really matters. Again, I am going to say yes. I say that because, as I referred to above, I couldn't get this idea out of my mind. I have a really nice 26 inch long travel full suspension bike. But, it always has felt squirrelly underneath me. So, I did it. I was able to put 27.5/650b wheels on it. I used the same rims as my 29 inch rims, as to try to get the best perspective on any changes. Let it be said: I do not recommend doing this to your existing bike. Not all 26 Inch bikes, in fact most of them, will not accept the larger wheel size. Even my bike barely has enough clearance. But, it worked on my bike, and I had to appease the bike gods. Did it change the bike? Yes. The first thing I noticed is that the bike was more stable. I didn't feel like I was going to tip over all the time if things got technical on the trail. The second thing I noticed was that it rolled faster. Yes, the bigger wheels rolled over everything just a little bit better. Not a huge amount, but just a bit better. Also, this middle size did not take away from the playfulness of the bike. It is still extremely responsive to rider input, more so than a 29 inch bike. Maneuverability of the bike is still incredible as I move through the incredible Northwest singletrack trails. The larger wheels have given me some of the benefits of a 29 inch wheeled bike. Being only half way up to the larger 29 inch size, technically, these wheels are stronger than 29 inch, and I do feel less lateral flex. I was able to use double butted spokes, as opposed to straight gauge, on these smaller wheels. That has saved some weight, which is really nice. Based on this experience, I do think that this wheel size is here to stay. It does offer some advantages over the other two wheel sizes. It remains to be seen if this is the "perfect" wheel size. But, in my opinion, without a doubt, it is a step in the right direction. When I first saw Sram's XX1 leak out onto the forums, I wasn't all that excited about it. My thought was "here we go again... another change". I looked at the massive 42 tooth cog in the back and wondered what Sram was thinking. Over the next few weeks, I read up on it as information started to become available. Needless to say, the thought of not having a front derailleur really intrigued me. Like a few products over time, I simply could not get Sram's XX1 out of my head. The technology sounded exciting and I continued to gain enthusiasm in seeing if this drivetrain really worked. So, I bit the bullet, so to speak. I ordered a drivetrain from Sram. Needless to say, I tracked the UPS package everyday for 4 days until it ended up in my office. The potential for a great ride was sitting right in front of me. The first thing to tackle was the cassette driver. After all, the new cassette has a 10 tooth cog and that doesn't fit on a regular free hub body. Hope Technology had come to my rescue! I built up a Hope Pro Evo II hub on a Stan's Flow Ex rim. That would do the trick on my Salsa Horsethief with a 142 x 12 rear. It is easy to change cassette drivers and more and more companies are coming through with them. DT Swiss, Hope, White Industries, and American Classic have all come out with the drivers. Mavic isn't far behind, as far as we know, along with others. All I can say is that the initial installation of my XX1 drivetrain was incredibly simple. It took me all of about 5 minutes to put on the cassette and change the chainring. The back side of the chainring is threaded. That means that you only need the outer side of a chainring bolt as it threads right into the chainring. Small things like this make all the difference. The Sram engineers obviously know that working with the back side chainring bolt is difficult, at best. At the end of a 10 hour work day, it made a huge difference to me that this installation was easier than expected. The cassette threads right onto the driver body and a normal cassette lockring tool tightens it (Park FR-5). The cranks were simple to put on, as normal with Sram/Truvativ. Elegant and easy. The rear derailleur bolts on just as any other would. Note: I did have to be careful as the rear derailleur mounting bolt is a T-20 Torx bit. In addition, Sram seems to have removed quite a bit of material on that bolt. So, I was worried I was going to strip out that bolt. I didn't. But, it was a reminder to be careful with this high end bike jewelry. Chain installation was a piece of cake thanks to Sram's Powerlink. And, the most beautiful thing of all: It took me all of 5 minutes to adjust my new drivetrain. No fighting a front derailleur. No cross gears. No chain rub. Just 11 simple gears. Needless to say, I was a bit nervous heading out on Saturday morning with the normal riding crew. All kinds of thoughts were going through my head: "Is that chain going to stay on? ", "Did I get my chain length correct", "I hope I don't have to walk out or single speed it out for some reason. ", "Is my gearing choice right?". That last question was probably the biggest. I went with the 28 tooth chainring as we have some steep climbs here in Oregon/Washington. I was happy to see that Sram noticed that not all of us have Pro racer power coming out of our legs. To cut to the chase, I stayed out for 4 hours without a single issue. Yes, it works as good as they say it does (if not better). The rear shifting is fast. As fast as I could ever want. The bike never mis-shifted once. And, I tested it. I "mistakenly" shifted way to late a few times, seeing if the drivetrain would handle shifting under the heaviest load I could put out. No problem at all. I purposely shifted way to often, shifting back and forth and back and forth during the ride just to see if I could find an error. Thankfully, I failed! Not a single mis-shift occurred. I bounced around, taking lines that weren't smooth. I went over logs and bottomed out my suspension on purpose to see if I could get the chain to skip and/or fall off that front ring. No way, not a chance. It never budged. I love riding single speed because of the smoothness of the drivetrain. There is no clickety-clank. There are no chains flying all over. There is no noise! This was like riding single speed, but with 11 gears!! Yes, I was very impressed. The combination of the XX1 Type 2 derailleur and the large chainring teeth keep the entire system as smooth as it could possibly be. The 28 tooth ring in the front gave me perfect gearing. I never needed any gear that I didn't have in 11 simple choices. I climbed everything I had always done and never ended up in the small 10 tooth cog. The gear range is excellent. The system worked flawless. Sram's XX1 is a game changer, in my opinion. The only thought I have now is how long will this drivetrain last? As it wears in, will the chain want to jump off? With an 11 speed chain (Slightly thinner), will I break a chain at some point? How long will it be until I find a flaw in this drivetrain? Time will tell. With this high end equipment, and our Northwest riding conditions, if I can get a year out of the chain, chainring and cassette, that is worth it. I am confident that the Sram engineers have taken longevity into consideration and am not that worried about it. There are three fantastic things that have come out of this new drivetrain: First, it is lighter than any other drivetrain I have had. Second: No front derailleur! No chainsuck, no front mis-shifts, no dropped chain. This drivetrain is simple, quiet and fast!! Third, and perhaps a bit more subtle, but worth mentioning: My Fox D.O.S.S seat post shift lever is now underneath the bar where the front shifter used to be. It's tucked out of the way and easy to reach. This has lead to the perfect cockpit on my Salsa Horsethief! I will plan to write a follow up, say around the end of August, with a longer term experience on XX1. But, for now, I want it on every bike I have. I want to it trickle down to XO and X.9 so that others can experience this joyful experience! Remember when you could ride your bicycle wearing shorts and a short sleeved shirt? Well, many of you have mothballed the bicycle for winter and are donning ski's, snowshoes, or snowboards. Not everyone turns to non-bicycle forms of recreation in the winter. In fact, winter cycling even made headlines in the local Utah media last week. The news agency KSL in Salt Lake City ran a story about "Fat biking" on Utah lake. What a great punch for cycling making headway into the conversations of non-bicycle owning persons! Of course the conversations may turn to how crazy some cyclists may be. We have more than a few customers here at Universal Cycles that have built up (or are currently building up) fat bikes. Click here to read the great article and watch the video. You may have noticed that we've been pandering these silly contraptions in our newsletters and on the website for a while now. Or perhaps you haven't noticed, because you immediately laughed at the concept and deleted the newsletter, or you possibly simply live on the Galapagos Islands. In any case, I do read our newsletters and I do live in an area with a sub-freezing winter climate. Add to that the fact that I have very poor circulation, commute through all seasons, and enjoy shifting and braking to some degree, I decided that I would try to keep my digits warm through all manner of weather and temperature. In my short and young lifetime I have tried dozens of gloves and glove liners and gloves with glove liners to no avail. My fingers go numb and occupy so much scrutiny on my part, that I'm impeded from observing chattering chipmunks, babbling brooks, particular snowflakes, billowing factory smokestacks, and slippy-slidy cars that lock up their brakes and slide into the intersection against a red light (true-ish story). I've been living in Ogden, UT for nearly four months, and found out pretty quick what a "real" winter is. I recently purchased the MTB version of the Bar Mitts designed for flat handlebars. My commuter bike has Surly open bars with quite a lot of backsweep, and I got the OSFM size of Bar Mitts. What the company calls OSFM, we at Universal Cycles call medium. The company recommends sizing by type of rider attire rather than anything to do with hand size. That is to say, the average person who will be riding in super sub-freezing temperatures and will be wearing huge bulky gloves and a really thick jacket should opt for the large size Bar Mitts. Indeed, I typically wear a size large glove, but would not see any arctic tundra type conditions, so I bought the OSFM (again, medium) size. The installation was simple, straightforward, and quick. Just unfasten the hook-and-loop closure, unzip, slide on, and re-zip/re-attach hook-and-loop closure. Inside the mitts are another piece of neoprene/hook-and-loop that you secure around the end of the grip/handlebar. There are now also options for those of you running bar end mirrors, bullhorn style bar ends, or those of you who simply like superfluous holes in things. The verdict is, that these are the quite possibly, nay, undeniably the dorkiest accessory that I have ever installed on my bicycle (our mechanic Shawn might put pedal reflectors ahead of this one). Yet, were to try and pry the Bar Mitts from my tingly warm dry fingers, I would surely deny you the privilege. Honestly, for really cold, blustery, and inclement weather this product simply works. I have been riding with the Bar Mitts and a pair of lightweight winter gloves to great effect! The cold is staved off and I have great dexterity to shift and brake. This last weekend the weather app on my phone reported a "feels like" temperature of -4 degrees fahrenheit. For those of you who live in more temperate climate zones, let me illustrate what -4 degrees fahrenheit feels like... it's like waking up, filling your thermos with coffee, donning your balaclava and snowsuit, and then climbing up into your freezer next to that bag of frozen peas. My hands were warm and toasty with the Bar Mitts and I believe that in milder winter weather, I will be able to get away with an even lighter weight long finger glove inside these things. Since I told you this would be a fair and honest review, there are a couple more points that I would like to make. First, the Bar Mitts can be ever so slightly awkward on handlebars with a lot of backsweep. I believe this is due to their being made for "flat" bars. It doesn't detract from their effectiveness or usefulness, but the angle at which your hands and wrists grasp a bar with much backsweep doesn't superbly match the angle of the opening of the mitt (I admit, I'm being very picky here). Also, the OSFM (medium) size is only good up to a mid weight glove/jacket combination. The company means it when they say those of you wishing/needing to still wear bulky gloves/jackets should go for the large size. Another point has to do with non-shifting/braking maneuvers. The Bar Mitts make it a bit difficult to, say, hand signal a left turn, turn on your headlight, ring-a-ling your ding-dong bell, scratch your nose, or wave to your neighbor fastidiously clearing their driveway of snow. And then there's the garish reminder that you look like an extreme goober on your commute, albeit a warm fingered goober at that. Bar Mitts may not be for everyone, but those of you who don't care so much what others think of you, desire pleasantly warm riding in cold weather, or those who have poor circulation (I raised my hand to each of those), these are just the delicious ticket for you! Check out our Road and Mountain Bar Mitts! The rain is coming down here in Portland and the snow level is down at an extremely low level! Fat Bikers around the country are rejoicing with the freshly fallen snow and the winter solstice is only days away now. In our last newsletter, we covered a bit about winter clothing for your upper and lower body. Those pieces help keep our core warm and our body heat regulated. But, we need to give some attention to the extremities. These are the areas that can, not only get damaged in severe cold, but end a fantastic ride as quick as it began. I am referring to hands and feet . These areas are key heat loss areas and can even effect your bike handling skills in a negative way. At the same time, if you have the right gear, you can stay out for any epic ride you want. And, when that happens, the bike "season" never stops. It becomes easy, and fun, to ride throughout the worst of winters. More than anything else, keeping your hands warm is crucial for your bike handling skills. If your hands get cold, then can easily stiffen up and it can be very difficult to steer and grab your brakes when needed. Also, in cold climates, it is very easy for finger tips to get frostbite if you aren't careful. Logic would say that the biggest, thickest gloves would be the best bet. But, not always the case. Yes, if you are road riding (be it gravel or asphalt), and you stay in the same position for a long period of time, then a thick, warm pair of gloves is your best bet. If your hands aren't moving too much, then you need a thick winter pair of gloves. These gloves will usually have a liner of some sort and are really designed to keep that cold air out. A couple of very good options are the Girodana Sotto-Zero Winter Gloves, Castelli Estremo, or the Giro 100 Proof winter gloves. If you are a mountain biker, usually, your hands are moving around a bit more as you negotiate the terrain. The challenge here is that you want your hands to stay warm as you sweat from the inside. Rule #1: We have found that if you are going to stay out for longer than a couple hours, bring two pair of gloves. Gloves aren't heavy and a fresh set can really save your hands (and the ride!). If you are riding in drier winter climates, choose a winter glove that has a good amount of insulation and some waterproof protection. The challenge is to keep your hands warm, but not over heated, and somewhat dry if foul weather hits. A couple of good examples of these gloves are the Giro Pivot Winter Gloves, the Craft SIberian Gloves, or the Gore Tool SO Windstopper Gloves. Water: Unfortunately, there really is no such thing as a "waterproof" set of gloves. Yes, gloves can keep water out for a long time, but eventually, it will get through. If you ride consistently in wet climates, neoprene gloves are a fantastic option. Yes, your hands will get wet. But, just like a scuba diver, neoprene will keep them warm! Additionally, neoprene does have some grip to it, so your handling skill stay intact. Here in the Northwest, neoprene gloves work fantastic. Often times, I don't even need to break out my second set of gloves because my hands are still warm (after 4 hours) with neoprene gloves. A couple of good choices are the Answer Strike Gloves, the Glacier Premium Gloves, and the Troy Lee SE Cold Weather Gloves. Without a doubt, keeping your toes warm is crucial for winter riding. Toes don't move around much when riding. That means less circulation of warm blood getting to them. And, cold toes are painful. Very painful. Not only does that pain eat away at your motivation while riding, but it gets worse because you are pushing down the pedals. You are, literally, pushing down on the pain. The first line of defense is a good set of wool socks. Wool is an incredible insulator and heat regulator. Cycling socks made from wool are not itchy or uncomfortable. They are made from things like Merino Wool which is soft, cosy and comfortable. Two of our favorite wool socks are the DeFeet Woolie Boolie Socks and the Endura Baa Baa Merino Winter Socks. After you slip on your wool socks, there are two choices to keep your feet warm. You can either get a pair of full blown "winter" shoes, or you can use shoe covers. Both options work very well. Winter shoes will usually combine neoprene, Gore-Tex, and some type of fleecy material. Additionally, these shoes will have a slightly wider toe box. This allows you to move your toes around, getting that crucial warm blood flowing to them. We have proven time and time again that winter shoes get the job done. They solve the "cold" problem and allow you to forget about your feet. Two of our best winter shoes are the Shimano SH-MW81 and the Mavic Drift winter shoes. As with all winter clothing, when it comes to keeping your extremities warm, think about what conditions you will be riding in and how long you want to stay out. We have found that, sometimes, you need to try different products to eventually find what works for your particular needs and desires. What works for me does not always work for some of my best riding partners. But, they find what works for them and we all have fun. There are plenty of really good winter products out there. So, don't give up if you try a product and it isn't quite what you were looking for. Over time, and miles, you will find exactly what works for you. Universal Cycles has donated $15,000 to the NW Trail Alliance! On Wednesday December 12th we had a fundraiser night for the NW Trail Alliance. The night was celebrating the great efforts that the NWTA has put in over the last few years to expand trail access for mountain bikes in the Portland area. Recently Universal Cycles donated $15,000 to the NWTA to purchase trail building equipment that was awarded to the NWTA through Oregons RTP grant. A ditch witch and other equipment will be purchased to help the on going trail building efforts happening around Portland. We even had Arkel throw in a sweet pannier bag to raffle off for the cause! One of our customers John P. was the winner of the bag and he was stoked to use it. Overall we had a great night with about 40 people taking trails and what we hope to see happen with trails over the next few years. If you would like to donate to the NWTA goto www.nw-trail.org/donate , your donation is tax deductible! In the fall of 2012, NWTA was awarded a $55,248 grant through Oregon's Recreational Trails Program (RTP) for the purchase of equipment to be used for building trail within the Portland Metro area and region. As part of the grant requirements, NWTA has to provide a 20% match to receive the money, a common stipulation for such funding. Universal Cycles generously stepped up and donated the first $15,000 to cover the matching funds needed by the NWTA. "This donation will allow NWTA to purchase the proper equipment to build sustainable trails in the area's challenging and environmentally sensitive terrain," said Victor Sandrin, retail store manager of Universal Cycles. "This will also help the NWTA maintain a growing inventory of trails in the greater Portland area, including Stub Stewart State park, Cascade Locks Easy Climb trail system and the Sandy Ridge trail system." The RTP grant and $15,000 donation will be used to buy a Ditch Witch machine to go along with the ST240 trail building machine that the NWTA already has, along with other needed equipment such as shovels, mcleods, winches and other trail building tools. Through this donation, NWTA will be able to construct sustainable trails including the forthcoming improvements to Fire Lane 5 in Forest Park. "It takes a community to build trails and we are grateful for such an extremely generous contribution and partner. We work hard to provide places for people to ride and this donation shows that all our hard work is being recognized by everyone from land managers to the bike industry," says Jon Pheanis, NWTA President. The Recreational Trails Grants (RTP) are national grants administered by the Oregon Parks and Recreation Department for recreational trail-related projects, such as hiking, running, bicycling, off-road motorcycling, and all-terrain vehicle riding. Yearly grants are awarded based on funds voted on by the U.S. Congress. Click here for more information. The end of the year is a great time to donate and help secure new trails and maintain existing trails within the Pacific Northwest. NWTA is a 501(c)3 organization and all donations are tax deductible, if you would like to donate online goto www.nw-trail.org/donate. About the NWTA. Northwest Trail Alliance is an all-volunteer, non-profit organization based in Portland, Oregon. We are one of the Northwest's leading mountain bike advocacy and trail stewardship groups. Created in 1988 as a grassroots club of local riders, focused on maintaining bike access to Forest Park - Portland's renowned urban park -, We have grown into a regional advocacy group, stewarding trails and advocating for trail access across a wide radius around Portland; from Forest Park and Powell Butte within the city limits of Portland, to the southern foothills of Mount St Helens, to the western slopes of Mount Hood, to Tillamook State Forest and Scappoose. For more information and to find out how you can help, go to www.nw-trail.org, or contact: Jon Pheanis (Jonp@nw-trail.org). Sure enough, winter has hit fast and hard. Within a couple weeks, it went from 70 degrees to 40 degrees here in Portland. While it seems a bit more difficult to get out of bed in the morning, there is no reason to stop riding. Too cold? Too wet? No way! 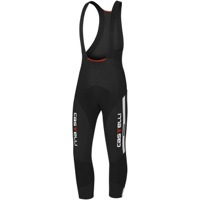 Today's high tech winter clothing will keep you on the bike and able to ride through the winter. The colder it gets, the more you will want to layer clothing. Layers trap oxygen between them, keeping you warm. Because we all live in different climates, we all need slightly different pieces to make it through the cold, wet, dark winter comfortably. Winter clothing needs to serve two purposes for cyclists. First, it needs to keep us warm. Keeping the core of your body warm is essential no matter what you are doing. Second, and just as important, cycling clothing needs to have wicking properties. Wicking is the process of getting sweat away from the body. High tech cycling clothing can help draw moisture away from the body. This will help keep you dry, warm and more comfortable. An upper body long sleeve base layer sits as the first layer on your skin. For that reason, you want to make sure it is comfortable. The nicest base layers will be soft, allow freedom of movement, and have smooth seams. 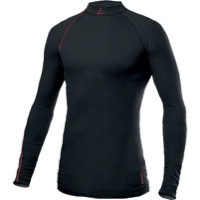 Base layers provide very high wicking capabilities. They will get the moisture away from your body, keeping you comfortable and allowing your body to regulate temperature better. Long Sleeve Jerseys come in quite a few varieties. The warmest ones will be a thick material, often with a soft fleece material inside for comfort. Some will have a wind protection layer on the front to protect the rider from cool air getting in. Some are made from Merino wool, which is excellent as a heat regulator and provides good wicking capabilities. Most will have a tall collar to provide additional insulation. When choosing a jersey, concentrate on what your riding conditions are going to be. If it is cold, but dry, a thicker "thermo" style jersey may work. But, if it is wet, such as the Pacific Northwest, a lighter jersey works better, as a jacket will be worn over it. A good cycling jacket can mean the difference between a 30-minute "miserable" ride or a 4 hour "incredible" adventure. Jackets are designed to keep the elements out. At the same time, they need to be breathable and let moisture out from the inside. Staying dry can be difficult, as you can get soaking wet from the outside or the inside. 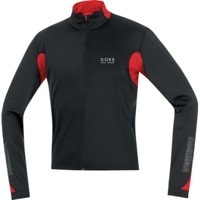 The best cycling jackets will allow moisture to escape but keep you bone dry from the worst rain or snow. Typically, these are thinner "shell" style jackets. They are designed to be put on and taken off easily and will pack up into a small space to store in a jersey pocket, hydration pack, etc. Packable jackets come in handy when weather conditions are not certain and you are riding in and out of wind, cold and rain. 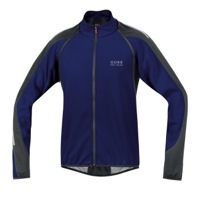 Warm and soft, these jackets provide excellent freedom of movement for the rider. Different layers of materials will provide good protection from the elements and ideal wicking properties. Soft shell jackets are a great choice for road riders that stay in the same general position for hours at a time. Simply put, these jackets will keep you dry in the worst of conditions. They will have maximum breathability so you don't soak yourself from the inside out. And, they will have maximum waterproofness by using a DWR coating on the fabric. Zippers and seams are sealed and there are often adjustable hem straps to keep the jacket close to your body. 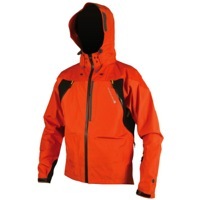 In general, the more expensive the jacket, the more breathable it is and the more features it will provide. Features such as "pit zips" and fleece lined collars can really make the difference in attaining a longer ride. Keeping our lower body warm not only insulates us from dangerous conditions but it also protects us from one other crucial danger: Injury. Keeping our knees and larger leg muscles warm will prevent kinetic injuries such as a pulled muscle or tendon. Blood flow is increased to warm muscles, which improves oxygen transfer and overall performance. Warmers are a good option due to the convenience factor of putting them on and taking them off. They are easy to adjust on or off the bike, as well. 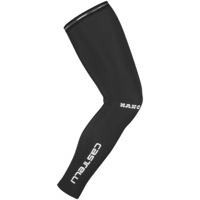 Knee warmers are shorter, isolating just the knee portion, while full leg warmers will cover the entire leg. Two styles have emerged over the last few years. Thermal warmers concentrate on keeping you warm with a thicker, fleecy material on the inside or with wool. Water resistant warmers are usually DWR treated and will keep water from soaking in. A good pair of winter tights is comfortable, durable and extremely functional. Good quality tights will also stay in place while riding. Tights come in several varieties including with or with a pad (chamois) or providing varying levels of water repellency. You can choose between regular tights, which start at the waist, or a bib tight with shoulder straps. "Knicker" tights are a shorter variety, stopping just above the ankle. These are a great option for heat management. Most tights will have a small amount of reflectivity added in for safety. As with all clothing choices, the best thing to do is think about the conditions you are riding in and make a good choice. Overpants are an excellent option to protect from the elements. Commuting or Touring? This style pant is a fundamental piece in your repertoire. 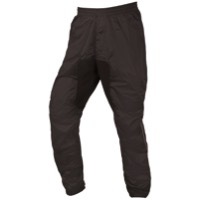 Cycling pants need to be breathable and water resistant, similar to other pieces of winter clothing. Cycling pants will also pack down to a small size and are very easy to carry with you. Pants can be a great option for where it is wet but not too cold. They will keep the elements out and that will keep you dry and warm. Cycling clothing is very technically oriented. The designers are constantly providing materials and garments that improve (and sometimes allow!) a good ride to happen. The quality of cycling clothing is outstanding and every detail is thought about. With the right gear, or combination, there is no reason at all to stop riding this winter. Sometimes, the best rides are in the worst conditions imaginable. In this second article on bikepacking, we focus on sleeping bags and camp kitchen. There are plenty of good options in these categories and good information is easy to find. The preferred method, thus far, has been to attach the sleeping back to the front of the bike. All you need to do is cinch down the stuff sack to the bars with some type of straps that can be tightened and loosened. Salsa and Surly both make cinch straps, along with many other companies. A good sleeping bag doesn't weigh that much and is easy to carry. A proper sleeping bag and pad can mean the difference between a warm and a cold night's sleep, comfort or misery, and survival vs. extreme danger. This is true for the most extreme adventures on the planet and even quick overnights close to home. In bicycle camping much like backpacking, weight, compressibility, warmth, and durability all are important factors to consider when choosing the sleep system that is right for you. Sleeping bags will provide temperature ratings and sizing. So, it is easy to choose what will work best for you. A good sleeping pad is crucial for insulation. You will stay much warmer if you get off the ground just a bit. Additionally, a good night of sleep will not only keep your physical body going but will also keep your mental capacities sharp and in tune. I like the Sierra Designs Utopia 15 sleeping bag as an option that isn't too expensive but comes with some nice features. There are a ton of dehydrated meals to choose from, and Backpackers Pantry does a great job in this category. Add water, cook, and dinner is served. When I first cooked the Cajun Rice with Chicken, I was assuming these would be about as tasty as hospital food after surgery. I was wrong! These ready to go meals are quite tasty and provide large enough portions so you won't be left hungry. There are vegan options and allergens are clearly stated. These meals are quite compact and very easy to pack where ever you can fit them. In addition to these meals, anything can be brought for food. It's completely up to the rider. One nice trick is to bring a treat along for the end of every day's ride. Looking forward to, or earning, that little treat can provide just enough to get you to the end of the day's ride. Cooking meals has become easy, as well, with the development of light weight stoves. I have been using the Optimus Crux Lite Stove for over a year without a single complaint. It is simple to use, compact, light weight, and will boil water very quickly. I have proven mine to be durable, as well, as I'm not quite awake before the first cup of coffee. The included pots a good, usable, size and are easy to clean. There are several options for stoves. JetBoil makes fantastic stoves/cooking systems, as well. I am happy to say that these options taken any concern I had about cooking. Eating well while out on your adventure will provide the sustained energy needed to have a fantastic trip. Do you ever feel like just getting away from it all? Getting out of the city? Back "in the day", so to speak, Europeans used to take weekend trips with not much more than a loaf of bread and some cheese. As long as the bicycle has existed, bicycle touring in various forms has also existed. It appeals to our sense of adventure, our need for freedom from the daily grind, and is a wonderful way to interact socially with others. The other essential bag to use is the Revelate Designs Viscacha Seat Bag. This bag has been thought out and has been developed by bikepackers to hold a good amount of gear close to the bike and out of the way. It works incredibly well. It's, basically, a giant stuff sack that attaches to your saddle/seatpost. It has a roll down top which is easy and will keep everything protected from the elements. And, perhaps one of the very best features is the compression straps built into the bag. This allows you to stuff this bag with what you need, but still keep it compact and close to the bike. It won't move around much. You can put just about anything you want in this bag. Clothing, cooking equipment, etc. No problem at all. The next thing to think about is shelter. There are plenty of different options to decide on in this category. The riders who want super light gear with look at a Bivy. These are single person, light weight shelters designed to keep you warm and dry. Other riders prefer to have a tent with them. One important thing here is weight. Choose a tent that is geared toward, and developed for, back packing. You need a shelter that is fairly light weight, will protect you from the elements, and packs down into a compact unit that is easy to carry. The single person shelters will be the lightest and smallest and will allow a sizable person to rest comfortably. But, with technology moving forward, even the 2 or 3 person tents can be an option, depending on what you need. The tent that was recommended to me was the Sierra Designs Light Year 1. This is a single person shelter. This is a very well made product and I am impressed with how easy it takes care of the need for shelter. At about 3 pounds, it is light weight, and I have no problem getting it in my frame pack. Initial set up is very intuitive. Lay out the tent and stake it down. Connect the poles and the tent is up. If you need to put on the rain fly (and we do here in Oregon! ), it is simple and covers the whole tent. One concern of mine is setting up the tent when you get to where you are camping. You might be really tired. Or, the weather might not cooperate and you need a fast set up. This tent has put my mind at ease in this regard. In addition to that, even at 6'2", I can sit up with head room to spare and I can lay completely stretched out with room to spare. The footprint of this tent provides room to put bags inside the tent, as well. Have you ever wanted to just be able to ride your bike on the street and not even worry about traffic? Well here in Portland we get that opportunity once a month during the summer thanks to the Portland Sunday Parkways. In an effort to help grow the cycling culture here in Portland, Universal Cycles decided to step up and become a Champion Sponsors. The nice folks at Sunday Parkways did a nice write up on the support that we are giving them on their blog and we thought that we would share that for all of our readers out there. Check the story out here Sunday Parkways Blog and make sure to swing by the shop and say hello Sunday August 26th during the Southeast Sunday Parkways. Well the past month has been a busy one for the shop. We made 2 people very happy with bikes that were raffled off. The first one was the Northwest Trail Alliance raffle. We donated a limited edition Shimano Saint bike to the NWTA to help them continue with trail building and advocacy. We helped raise over $4000 for the NWTA and that will go a long way to help keep trails open in the greater Portland area and help create new trails. Greg E. was the lucky winner of the bike and he was super stoked about winning and was even more stoked that the money went to a great cause here in the Portland area. Portland is a great bicycling city and when more trails are built for recreation, and not just for transportation, in this city it will be even better! go to www.nw-trail.org for more information. Our second bike was a KHS hybrid bike given away at Sunday Parkways. Kendall of Portland won the bike and was excited to get on and go for a ride. Sunday parkways next stop is here in our neck of the woods and we will have some special stuff planned for our "home" event. See you out on the trails or roads! I often hate that my internal clock still goes off at 5:30 AM....but now that the Tour de France is going on I am actually very happy to be getting up that early! I have always been drawn to the Tour de France and for the first time in many years I am able to actually watch the live coverage in its entirety and I could not be happier about this! So stage three was a 197 km that took the riders from Orchies to Boulogne-sur-Mer. The stage was classified as rolling and most of that rolling was done in the final 60 km's. All 198 riders took the start and at 5 km into the stage a breakaway of 4 riders took off. Included in this group of 4 was current KOM Leader Michael Morkov (Saxo Bank-Tinoff) who has become a familiar face in the breakaway's in this years Tours as he has been in the breakaway on each stage so far. The stage was relatively calm until the main field hit the kilometers just before the intermediate sprint at km 119. This year the organizers have changed up the Green Jersey competition a little and the intermediate sprints have a lot more points on offer...so that means that the sprinters who wish to wear Green into Paris have to pay attention to the intermediate sprints and it sure has been making for some exciting racing. And I think that with this sprint we have a "New Look" that we can all reference. If you remember back to 2001 there was a "famous" look given and it is always something that is talked about each year...I think that the "New Look" is better and should be what we see from here on out...what do you think? Check out the The Look and The New Look and let me know what look you think is better. After the intermediate sprint the pace settled back down but the riders did not as the field moved onto narrow roads. The narrow roads and the nerves of the first week caused several crashes and two riders had to abandon the race. The breakaway was caught with about 10 km to go and after a short stint all together Sylvain Chavanel (Omega Pharma-QuickStep) took off going for the win on the same finish that he won the French National Championship on a few years back. Chavanel looked like he might be able to pull the win off...but the charging field had other ideas...or better yet Peter Sagan had other ideas as he blew the field away and even gave us a running man salute when he crossed the line. Sagan is only 22 years old....and I can tell you that I am looking forward to watching him for years to come!